Since its rediscovery in 1934, The Book of Margery Kempe has generally been judged as over-emotional and naïve. Naoë Kukita Yoshikawa argues instead that The Book of Margery Kempe is a creative experience of memory as spiritual progress. 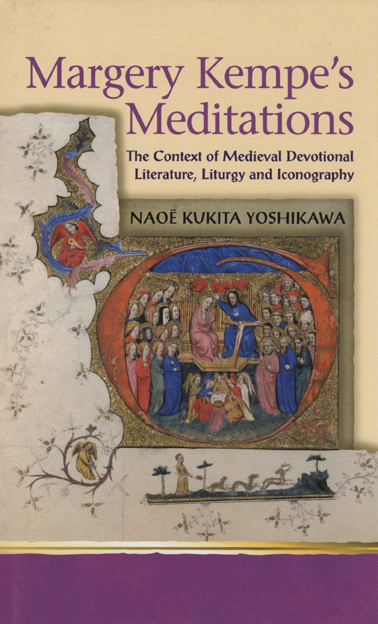 Yoshikawa explores Margery’s meditational experience in the context of the visual and verbal iconography and provides a comprehensive analysis of Margery’s meditative experience as it is structured in the book, paying particular attention to develop a coherent theology of the five major meditational expreiences that influence Kempe’s spiritual progress.